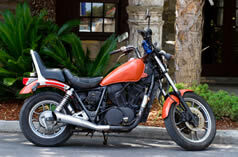 If you live in Illinois, chances are Pufalt-Pauley Insurance covers what you ride. Pufalt-Pauley Insurance insures a full spectrum of motorcycles from street cycles, Harley Davidsons, cruisers and touring bikes, to dirt bikes and ATVs. You can pick the motorcycle insurance coverage that fits your needs. Many insurance companies offer underlying liability limits high enough to satisfy Personal Umbrella requirements, which means that you may be eligible for this additional coverage. In most states, Guest Passenger liability (mandatory on all street bikes) is automatically included at the same limit as your liability selection. Pufalt-Pauley Insurance works with multiple insurance companies so we can provide you with multiple motorcycle insurance coverage options at rates you can afford.